What began as an enjoyable cruise, quickly turned into a fight for survival. The ship hit a reef and quickly sank, leaving passengers to fend for themselves along the vast ocean. One passenger unfortunately, had more problems and was the last to get off the ship, leaving her far behind from the rest. Alone and without direction, she landed on an unchartered island full of mystery and danger. What followed was the most exciting adventure of her life. Climb aboard the doomed cruise and re-live this thrilling experience through her eyes! Evacuate the sinking ship and make it to dry land. Use your knowledge and skills to find shelter, avert pirates, escape from natives, and signal for help. Find all of the tools you need by looking carefully, solve puzzles to escape perilous situations, and play mini-games to stay alive. 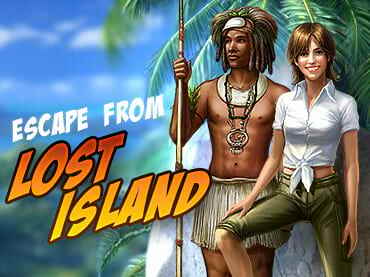 Download free full version of Escape from Lost Island today! - Use your knowledge and skills to signal for help. If you have questions about Escape From Lost Island game, please contact us using this form.